All are welcome to bring a crock pot full of your favorite chili or just come and enjoy taste testing. 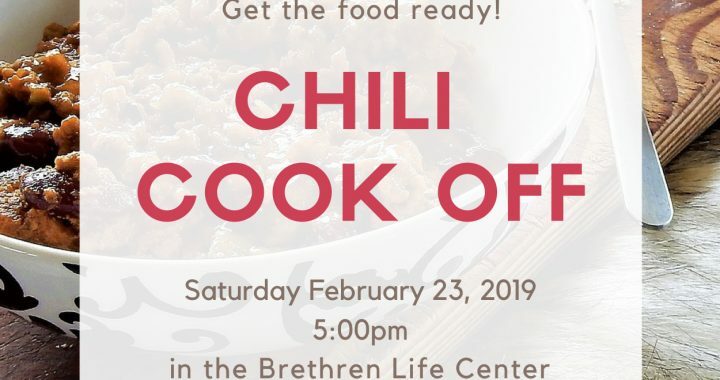 During this fellowship event, we will vote who has the best original, hottest and weirdest chili! The people who win will receive an award. All toppings, paper products, dessert and drinks will be provided by the church.